Many people pray, but some don't really believe that God is listening. Answers to prayer can be so small and ordinary that they go unnoticed. But every so often we are powerfully reminded that God does indeed hear and answer prayer. What begins with simple faith and a basic prayer from an average Christian ends with an astounding gift from our loving heavenly Father. In this new collection, ordinary people recount miraculous answers to prayer--things that could only happen with God's supernatural intervention, such as unexplainable healings and amazing protection in life-threating situations. This book will inspire you to believe that God can answer even your most seemingly impossible prayers, fulfilling your deepest needs and biggest dreams. I have always enjoyed books that had multiple short stories in. They make for great reading when you are reading in small spurts. And when it is a book like this full of true miraculous stories, that makes it all the better. Sometimes it seems none of our prayers are getting answered, and it is easy to overlook the ones that are getting answered. It is good to hear of or read about answers to prayer other people have had as it can be encouraging to oneself. This book has a lot of answers to prayer in it. There are around forty stories of answers to prayer in this book. They are by both men and women from all walks of life. Some are big answers to prayer, and others may seem small, but they are all true and miraculous. James Stuart Bell did a great job of compiling these stories and telling them in his own words. They are interesting, encouraging, and easy to read. I was encouraged and convicted as I read these stories and realized how easy I give up on praying for some things. Sure, God may not answer in the way I want Him to, but I give up too easily. I would recommend this book to anyone, but especially to those who feel like their prayers are not getting answered. This may be the boost of encouragement those people need. James Stuart Bell is the owner of Whitestone Communications, a literary development agency. He consults with numerous publishers, represents various authors, and provides writing and editing services. 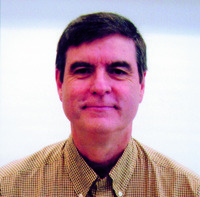 He has previously served as executive editor at Moody Press, director of religious publishing at Doubleday, and publisher at Bridge Publishing. He also has more than one hundred books with cover credit. He coauthored the best-selling Complete Idiot's Guide to the Bible (more than 300,000 sold) and numerous other Christian guides in that series for the Penguin Group. He has also contributed numerous Christian volumes to the best-selling Cup of Comfort series by Adams Media. 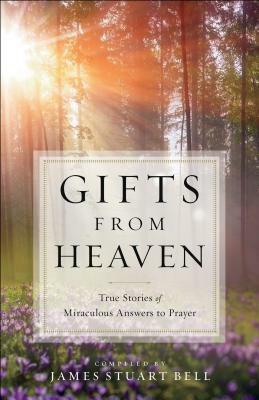 Gifts from Heaven: True Stories of Miraculous Answers to Prayer is available from Bethany House Publishers. Thanks to Bethany House for the review copy.